One of the things I knew I had to have when I first found out I was pregnant, was a Baby Book. It has always been something I thoroughly enjoyed looking through over the years. Of course because I am the oldest, mine is filled out completely with every detail of my childhood. I know something of this enjoyment comes from being a very sentimental female but at the same time, I knew my boys would appreciate the memories as well. I was recently contacted and asked to review a new form of Baby Book, one which would actually keep up with the changing times of technology! 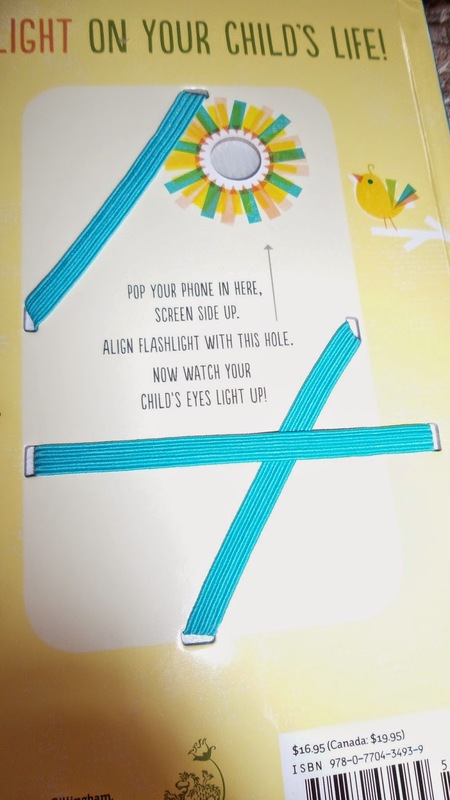 "Created by New York Times bestselling children's author Amy Krouse Rosenthal and acclaimed illustrator Sara Gillingham, Highlights of Your Life is a first-of-its-kind keepsake journal that brings together the two things forever attached to parents’ hips: their kids and their phones!" 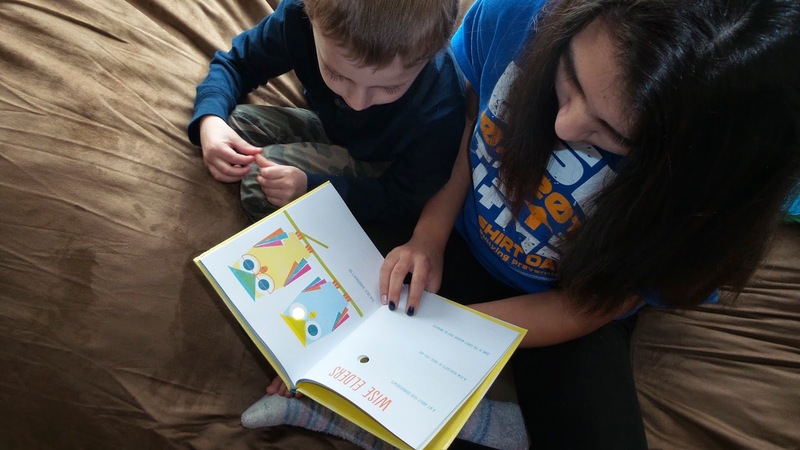 Now I've got to say this is a pretty nifty little book which really gets the kiddos excited to read all about their past or even to help fill out for siblings! All you need is a smartphone with the flashlight turned on. 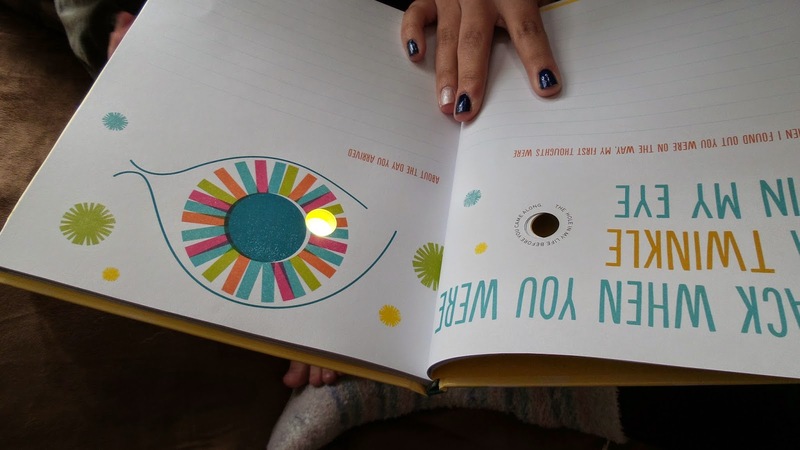 It easily and safely slides onto the back of the book with a hole cut perfectly to line up the light throughout the pages. I love the fact that this book goes further than just the normal baby milestones and in fact focus's more on actual childhood. 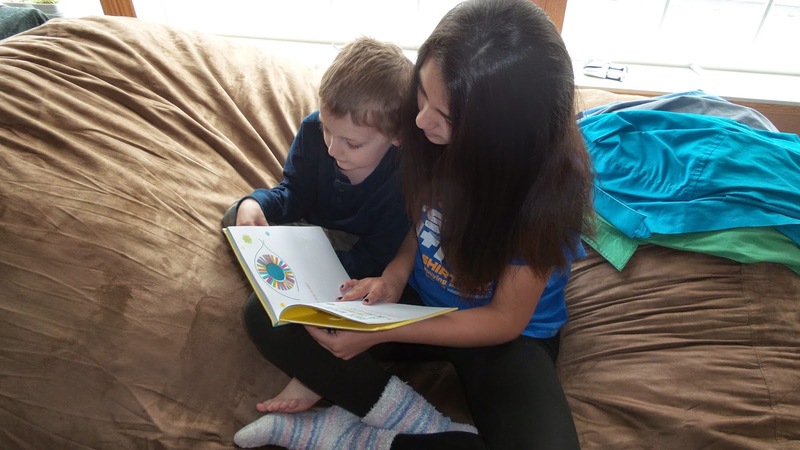 Children Dane's age and even younger like Declan who is 3 can help answer the questions about topics like allowances, school activities, or what they plan to be when they grow up!! Recommendation: Not only is this an adorable book to have if you are expecting but for people like me who are already past the baby stage. This really makes for a great gift for anyone expecting or with children! 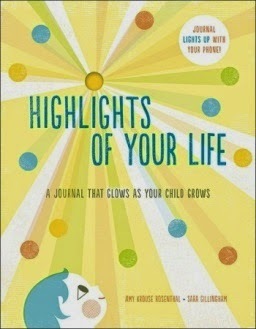 Giveaway: CrownPublishing is going to give one of A Lucky Ladybug's lucky readers a copy of Highlights of Your Life to have of their own! I will give this to my daughter-in-law so she can fill it out about my wonderful grandson. I would give to my cousin. This would be for the wee one in our family. I would give this to my best friend her her little one. I will be keeping this for my son if I win. He will be born this year. I really like the color scheme and how simple it is to navigate. I like how your pinterest boards are st up too! I will give it to my sister who is expecting her first baby. I just found your blog today. It seems interesting. I would give it to my nephew who was just born. I like this blog alot, it is easy to use and search for things, the content is fun and there are giveaways which is a fun plus :) Great site!